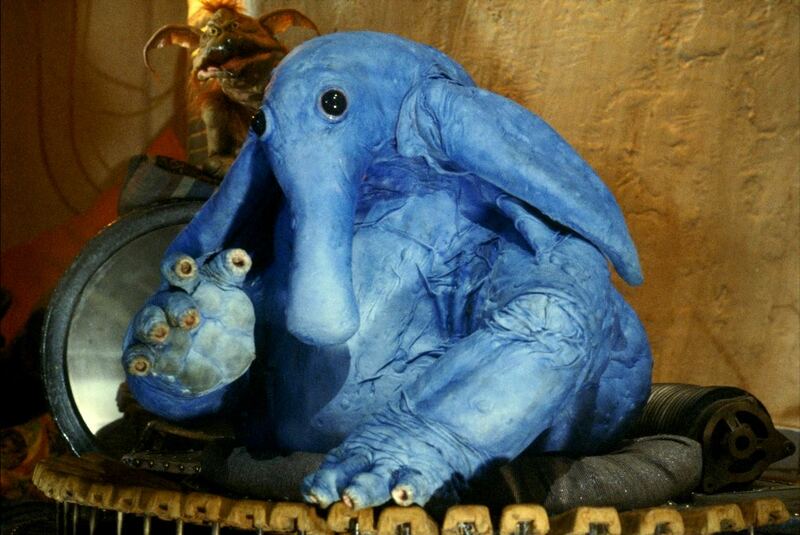 Having nearly reached the mid-point on the next installment in my Merkabah Rider series Have Glyphs Will Travel, I decided to take some time out to talk a little about one of the characters appearing in the second (and as yet unnamed) episode. 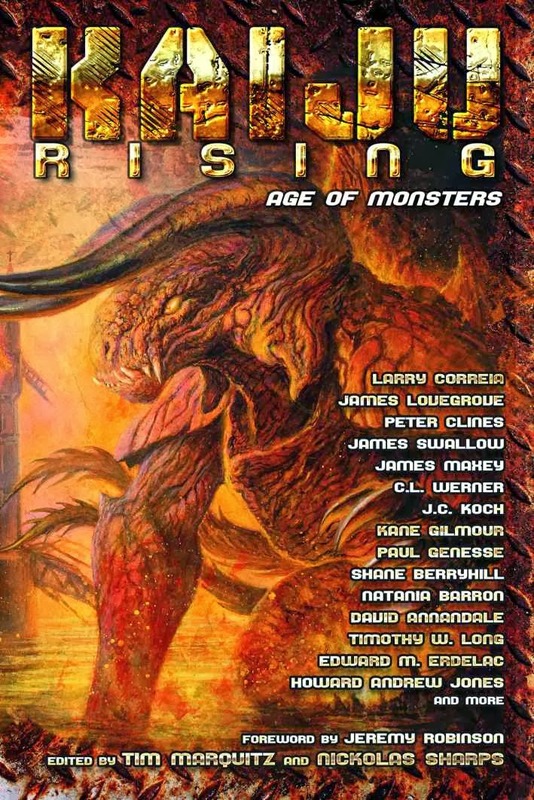 A lot happens in this book, as the series enters the home stretch. Key details of the Hour of Incursion plot will be revealed, the succubus Nehema will return, and the Rider’ s nemesis Adon will finally make an appearance. 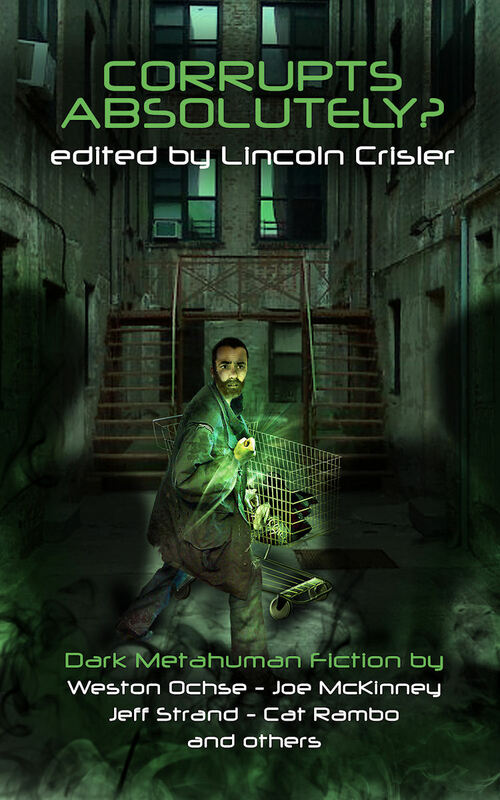 Historical characters have appeared in Merkabah Rider before. 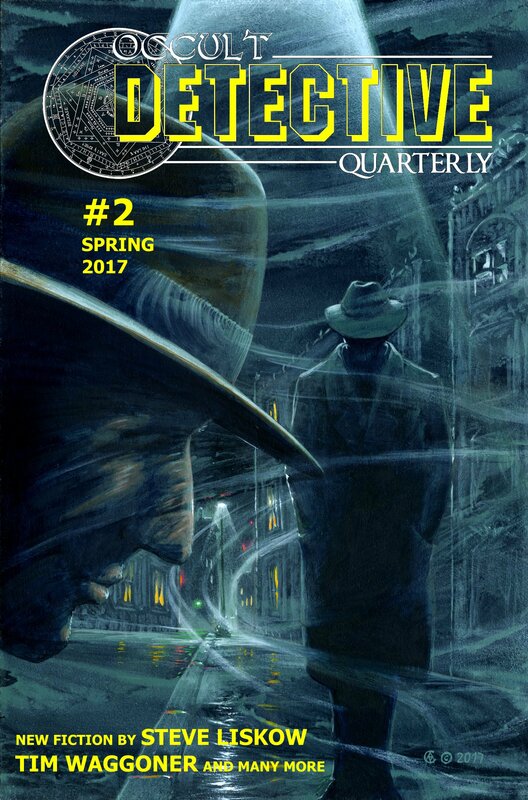 ‘Mysterious’ Dave Mather and John ‘Doc’ Holiday featured prominently in The Mensch With No Name, as well as members of Las Vegas, New Mexico’s infamous Dodge City Gang. Tales of a High Planes Drifter had Josephine ‘Sadie’ Marcus, the future wife of Wyatt Earp, and her shiftless beau and soon-to-be Cochise County Sheriff, Johnny Behan. With Have Glyphs Will Travel I decided to visit another historical persona, one whom I’ve admired for a good deal of my life. Born Goyaałé in Arizona Territory in 1829 to the Bedonkohe band of the Apache (which is actually a misnomer, as are most popularly known Indian tribal names. 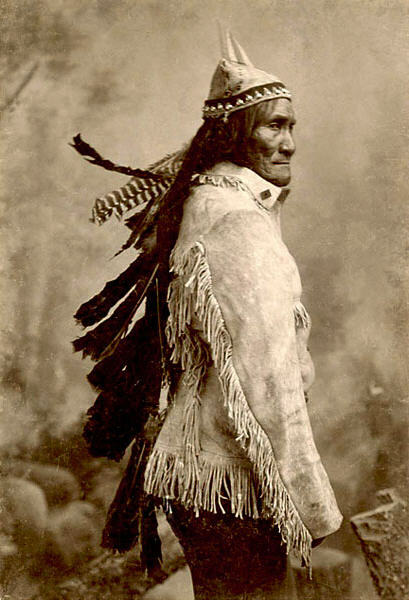 Names like Sioux and Apache are usually attributed by adversarial tribes allied with European/Spanish/Mexican/American people, and more often than not – as in the case of ‘Sioux’ translate into ‘enemy.’ The origin of the term ‘Apache’ is lost to history, first being recorded in 1598), he lost took a wife at 17 and fathered three children, raising them in the traditions of his people, which included belief in one God, Usen. The Apaches had been fighting off European incursion for decades by this time. Apacheria covered areas of southeastern Arizona, northern Mexico, New Mexico, western Texas, and southeastern Utah, southern Colorado, and parts of Oklahoma. Problems with Spanish colonists was inevitable, but sporadic, until shortly after Mexican Independence when the government began posting rewards for Apache scalps (a practice portrayed brilliantly in Cormac McCarthy’s apocalyptic novel Blood Meridian or, An Evening’s Redness In The West). 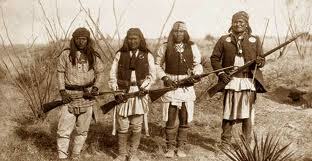 When the chief of the Mimbreno Apaches was killed for bounty money, this touched off a series of aggressive retaliatory raids by the succeeding chief, Mangas Coloradas. Then in 1846 war broke out between Mexico and the U.S. Having fostered a growing hatred for their Mexican neighbors in the preceding decade of brutality and mutual bloodshed, most Apache bands allowed free passage of American troops through their lands. When the war ended, a new peace treaty between the Apache and the Americans was signed, but the Mexicans hated the Apache more than ever. At the age of 29, Goyaałé and the men of his village traveled to the Mexican town of Janos to trade, leaving a few warriors to guard the women and children. While they were away, 400 Mexican troops under the command of Colonel José María Carrasco attacked. Some women escaped and were found by the returning warriors, who resolved to hide until nightfall and then sneak into the silent village. In the dark, Goyaałé found his elderly mother, wife, and all three children dead. A year later, Goyaałé had joined the ranks of Mangas Coloradas and successfully broached an alliance with the Chiricahua under Cochise and the Nedni under Juh. He guided this army of Apache into Mexico. Coming upon the town of Arizpe, which had been founded by the Jesuit missionary Jeronimo de Canal, Goyaałé recognized the same cavalry that had been involved in the massacre of his village and asked to lead the attack. The ensuing battle lasted two hours, and ended with Goyaałé killing the last two Mexican combatants himself, one with the man’s own sabre. It is said that it was at this fight that Goyaałé earned the name he was forever after known by among non-Apaches. Some accounts say that the Mexican soldiers prayed to St. Jerome to deliver them, but as Jerome is the patron saint of librarians and scholars, I’m sure it probably has something more to do with the Jesuit founder of the town. Whatever the reason, Goyaałé became Geronimo. In the years that followed, Vittorio and Mangas Coloradas both fell in battle with the Mexicans or the Americans. 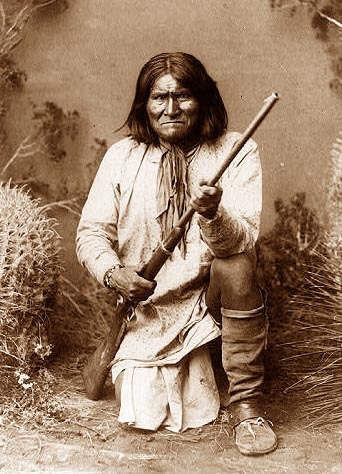 In 1886, after evading thousands of Mexican and U.S. troops for over a year, Geronimo finally surrendered to white authority, the last of the Apache to do so. Legends about Geronimo abound. 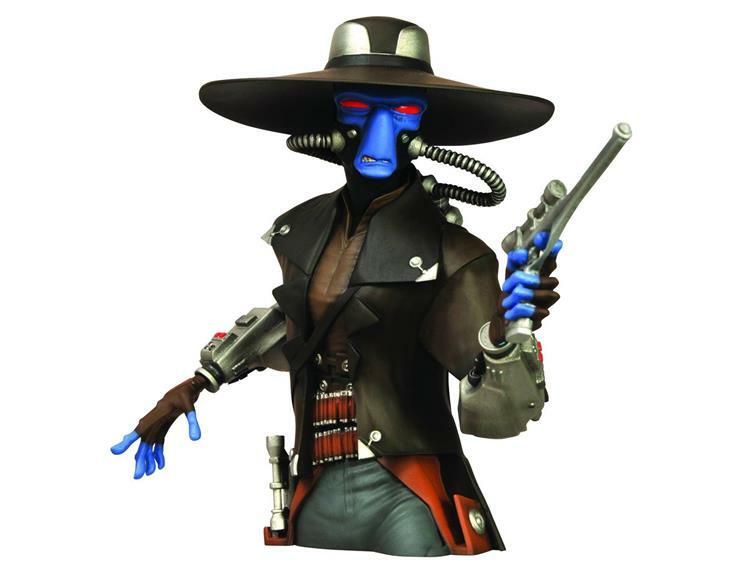 He was never a proper chief, but it was said he had the power to see the future and to stop bullets, and time itself. 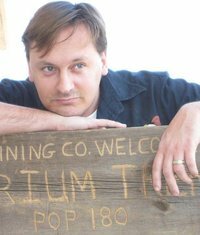 After being chased up into the Robledo (some accounts say Superstition) Mountains by U.S. soldiers, he and his band took shelter in a certain cave and never emerged. The soldiers finally gave up. Of course Geronimo popped up again somewhere else. 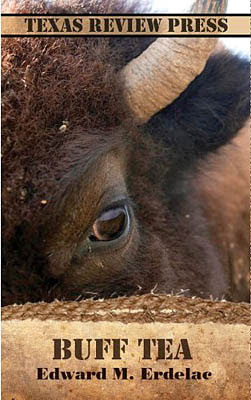 I don’t know what exactly resonates with me and the story of Geronimo. I’m not the least bit Indian. I guess I like an underdog, and to read about tenacious individuals. I think it’s people like Geronimo that form the concept of the American individual, even fighting the American government as he did (and as Americans have done and must still sometimes do). I believe Geronimo inspires the legacy of resistance to tyranny upon which the American ideal was founded. So what happened to Geronimo? Well, after a long life on three different reservations, he died in Oklahoma in 1909, far away from Apacheria. The legends didn’t stop there of course. In a fittingly ironic twist, rumors still persist today that Prescott Bush of the infamous Bush clan stole Geronimo’s skull while serving as an Army volunteer at Ft. Sill and spirited it to the Yale headquarters of the Skull and Bones society, assembly line of elitist oligarchs since 1839 . 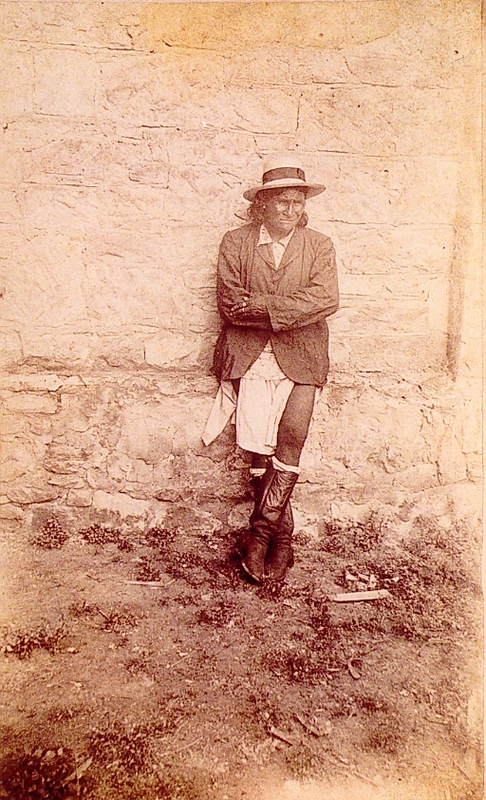 This is generally refuted as Geronimo’s grave was unmarked at the time. 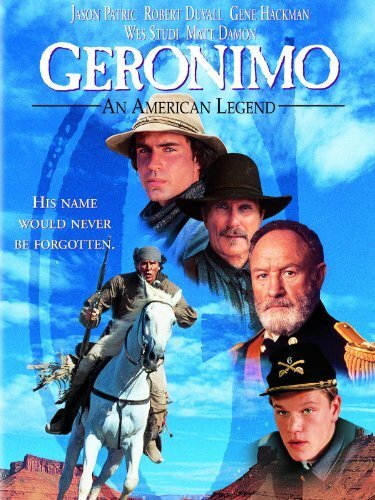 Several movies were made about him, the best probably being Geronimo: An American Legend with Wes Studi in the title role. Notice the actor playing Geronimo doesn't get top billing! Chuck ‘The Rifleman’ Connors played him too. I like Chuck Connors. I like John Wayne. John Wayne played Genghis Khan once…’nuff said. 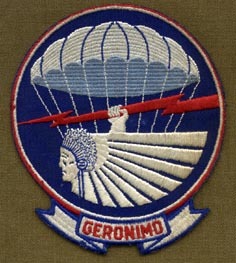 Geronimo’s other legacy is the famous World War II paratrooper call mentioned above, which was first enacted by Georgian Private Aubrey Eberhardt of the fledgling Parachute Test Platoon at Ft. Benning. 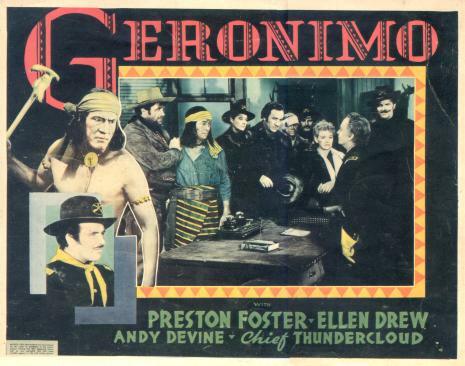 The day before his first jump out of an airplane, Aubrey and some friends watched a 1939 Paramount movie starring the imposing Victor ‘Chief Thundercloud’ Daniels (a Cherokee actor who originated the role of Tonto in the early Lone Ranger serials) in the titular role of Geronimo. Chided about his nervousness later by his fellows, Eberhardt promised that to prove he could sustain his courage while plummeting thousands of feet, tomorrow he would call out to them a certain phrase as he jumped, to let them know he hadn’t lost his nerve. In the months to come, as the number of trainees grew into five full blown Airborne Divisions, the paratroopers carried the battle cry to the skies over Europe. The first division to be instated, the 501st Parachute Infantry Batallion, chose the name as their motto and insignia. The 50th PIR also adapted the name, and Geronimo’s warrior legacy (whether the soldiers were aware of it or not) landed at D-Day with the men of the 101st Airborne, who wore war paint and shaved their heads into mohawks (and still do). 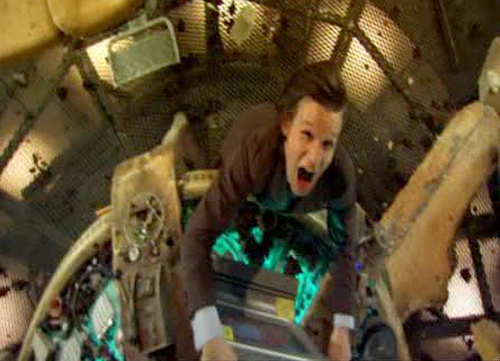 The ‘eleven’ refers to the number of jumpers in a plane (which coincidentally brings us back to Matt Smith, the 11th incarnation of Doctor Who, who yells Geronimo in his debut episode, The Eleventh Hour) . 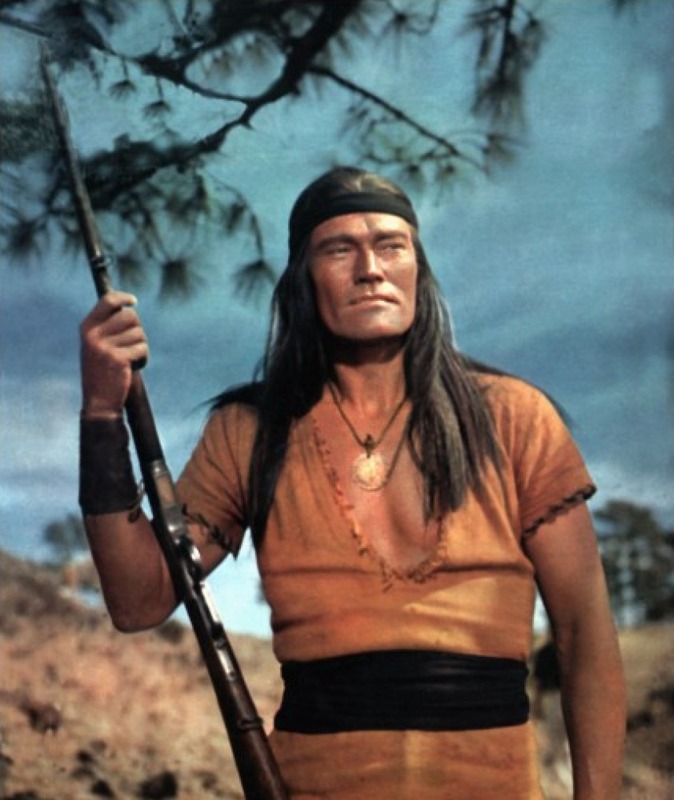 And that’s about all I have to say about Geronimo, the man and the phrase. But how the hell does Geronimo fit into Merkabah Rider anyway? 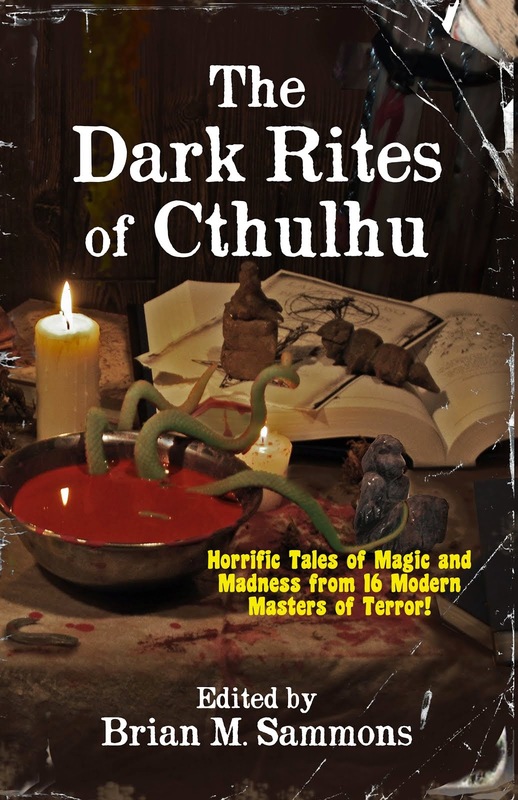 1880 is dawning and The Great Old Ones are coming. 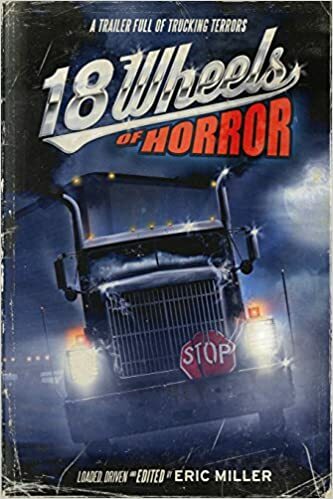 A war to clear their path is being fought in the Southwest and the Outer Gods are fielding their Native American general, Misquamacus (of The Lurker On The Threshold and The Manitou), who drifts into the San Carlos Reservation preaching victory over the invading whites. The greatest guerilla force extant is the Apache. Vittorio, Juh, and Nana are at the height of their powers, and Misquamacus calls a meeting at one of the great hidden strongholds deep within the Sierra Madres. All the Indian must do to defeat the white man and the Mexican forever is to turn from the veneration of Usen and fight for the Great Old Ones.